You can use the proper typesetting Unicode minus (see https://en.wikipedia.org/wiki/Plus_sign#Plus_sign) or the ASCII hyphen for minus, which some people prefer. 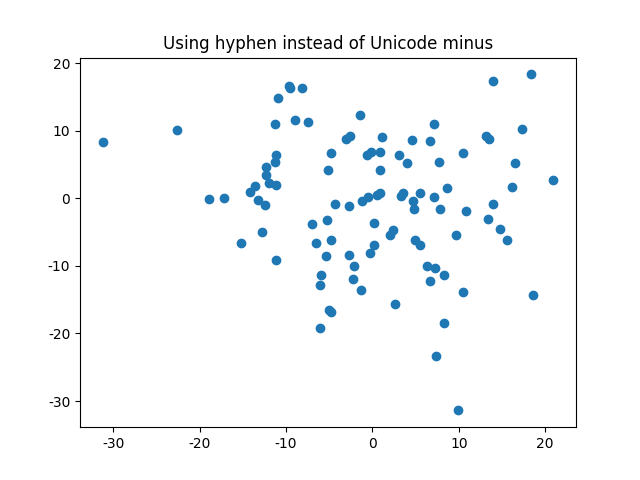 The matplotlibrc param axes.unicode_minus controls the default behavior. The default is to use the Unicode minus.